According to the Mirror, Manchester United are closing in on the signing of Tottenham Hotspur defender Toby Alderweireld. A deal for the 29-year-old could be finalised in 36 hours after the two sides reached a breakthrough over his asking price. Spurs wanted closer to £75m for the centre-back, but the prospect of losing him for nothing next summer has changed their stance. It’s good news for United manager Jose Mourinho as he’s spent all summer trying to sign a stellar defender who could bolster the side’s backline. The Red Devils have been linked with Real Madrid’s Raphael Varane, Barcelona’s Samuel Umtiti, Leicester City’s Harry Maguire and Juventus’ Leonardo Bonucci to no avail. Alderweireld was a play high on their wishlist, but Tottenham weren’t budging on their initial asking price which was delaying the transfer. But now they’ve met United somewhere in the middle, the Belgian international is set to make the switch before the first Premier League game of the season. 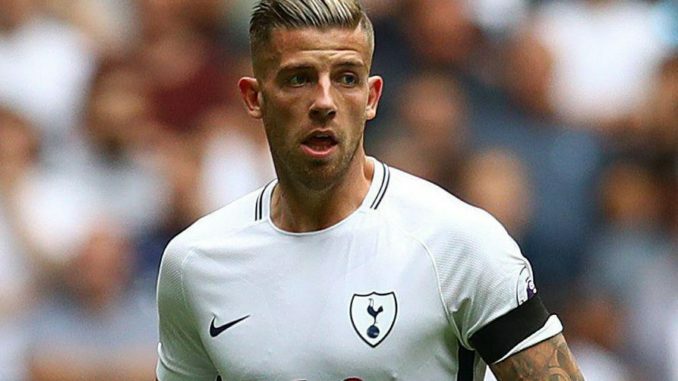 Signed from Atletico Madrid in 2015, Alderweireld has gone on to make 109 appearances in all competitions for Spurs and is regarded as one of the best centre-backs in the division. OMG Man United are going to be even more boring by signing another defender. Mourinho needs to be sacked now. We know it is not easy but all the same Mourinho will do well. Needless of sacking him.